Leadership Success is the key to fulfilling your leadership potential! Every leader wants to be successful, but only very few leaders succeed. Millions are driven, possessed and preoccupied with this passion. They would sacrifice anything to be seen or accepted as successful leaders. Leadership Success in today's world is usually defined by the superficial rewards glorified in the media: Wealth, power, fame, luxury, prestige and recognition. 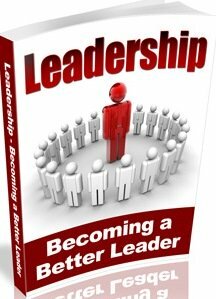 Yet few aspiring leaders have a firm idea what it takes to be a successful leader. A young corporate executive who rises to the top management position of a major corporation and earns nearly a million dollars a year, is a successful leader, but would the young man agree? That depends largely on the sacrifice he made to get to the top, the quality of his life outside work his personal reason for pursuing his particular career. If the young man has a positive sense of direction that encompasses his whole life, his professional career and if he understands why he wants what he wants, his accomplishment may give him genuine satisfaction, making him a successful leader in his own eyes. 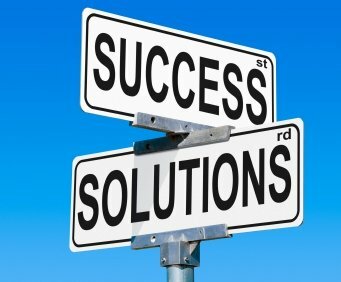 If however he does not have this clarity of purpose and especially if he has been struggling to live up to someone else's definition of success, be it a parent, spouse or society, he is likely to reach the top of his professional ladder but wonder why he feels so dissatisfied and burned out. In the end he may realize that his identity as an individual has been compromised by the forces pushing him to attain career stardom. He becomes trapped by the pressure to get ahead, and his life is out of balance. Purpose is the original intent for the creation of a thing. It is the reason for its existence and the why behind something's existence. Purpose is the assignment that produced by intent of the creator or manufacturer. The completion of the intended assignment is the fulfillment of the reason for existence. Being true to the original intent is the essence of obedience and the measure of faithfulness. Therefore Leadership Success is the fulfillment and the completion of the original intent of a thing; it could be personal, a business, organization or an assignment. It is not what you have done compared to what others have done, but what you have done compared to what you were supposed to do. The above definition shows that Leadership has more to do with being than doing. To be successful is to finish the original intended assignment according to the plan and the specification of the creator. It is the only true source of fulfillment and the only accurate measurement of life. Purpose is doing not the good thing, but the right thing. Living with purpose is the difference between being busy and being effective, the only measure of true leadership success is the pursuit of purpose. Do you have a purpose for living; do you have a purpose and vision for your business, organization, community or company? We as a society have confused success with fulfillment, accomplishment with satisfaction and achievement with peace. I believe it is essential for you to look beyond the wonderful things, material success can buy. Purpose is the key to success and fulfillment.